Polishing my David Gilmour Skills on USA Fender Stratocaster 2011 HSS (which stands for humbucker – single coil – single coil pick up configuration). I love to use the whammy bar on a guitar that actually can stay in tune when using the tremolo like it was intended to be used. I tuned up and quickly laid down some Pink Floyd comfortably numb 1st solo (it’s so damn epic) just as an excuse to go to town on the whammy bar! I love a good strat! 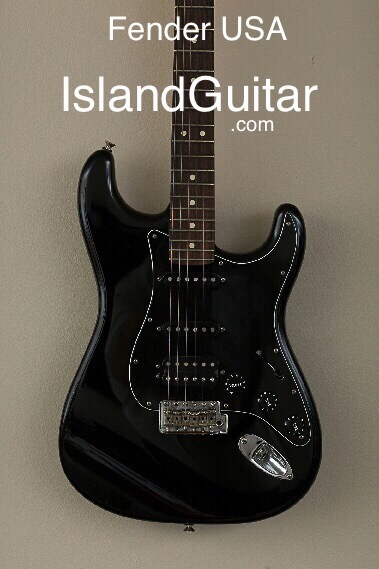 Fender USA Black on Black with rosewood fretboard with single single humbucker pickup configuration and flaunting the 1970’s style “large” headstock. 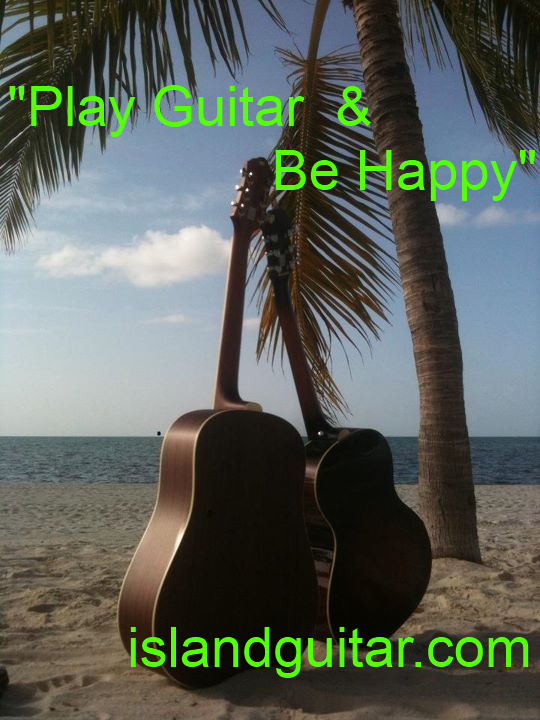 Greetings music lovers and guitar freaks!! I just taste tasted this beauty and all I can say is omg!! Tone drips off the neck of this USA made guitar. 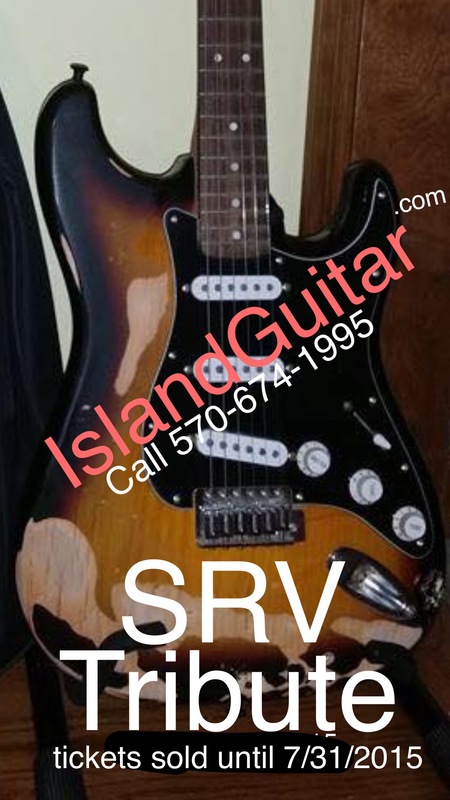 It’s got the classic Strat quack and nasal tone that keeps the Strat so famous and relevant to even the newest music on stage and in the studio. 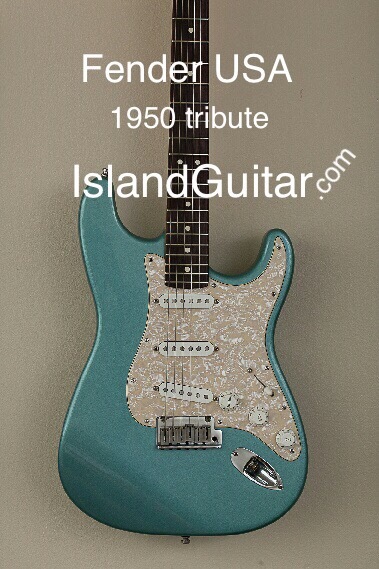 This 2011 Fender USA Statocaster 1950 Tribute with Seymour Duncan pickups pups upgrade sounds and looks the part perfectly – a great tribute to the beloved 1950 spirit in this 2011. 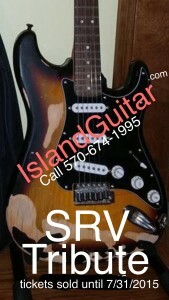 This replica of Stevie Ray Vaughn’s 1962 Fender Strat was rebuilt with much love and skill by Butch Frable for Fat Cat Custom Guitars. Butch has generously donated this guitar for auction at the benefit for Nicky Sorbelli, along with this gig bag, generously donated by Jack Gretz of Northeast Music Center. We are still accepting donations for the raffles if you are able to help! HELP Nicky Sorbelli my 9yr old son whom we just discovered has T Lymphoblastic Lymphoma (cancer) & we badly need everyone to HELP & PRAY & SHARE. 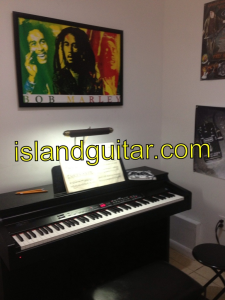 Island Guitar, Ukulele & Piano Lesson Studios in Key West has 2 spots open for Private lessons on Piano and 3 available spots open for electric or acoustic guitar @ our Key Plaza Studios next to AT&T across from Radio Shack next to Kmart. 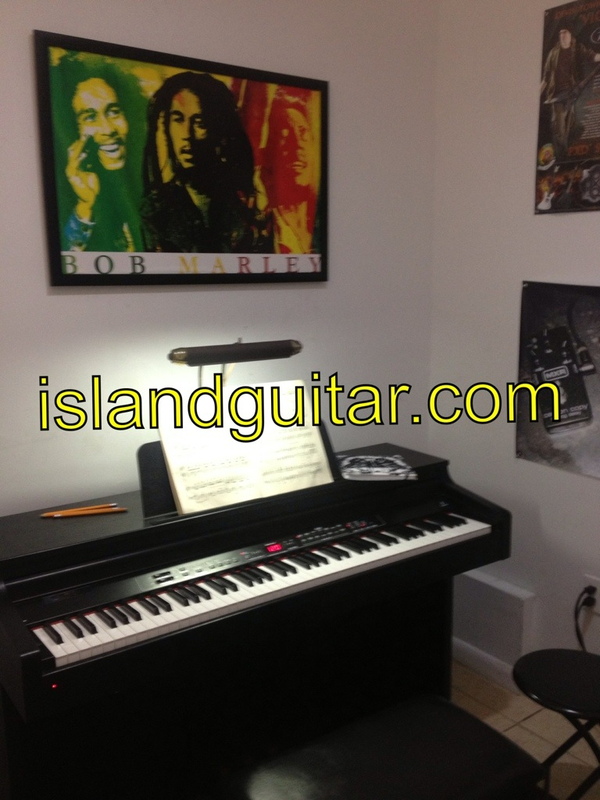 Is your pre-school aged child ready for PIANO lessons? 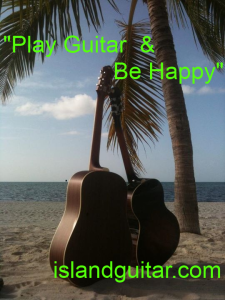 Kids Ukulele Summer Camp 2017 is at the Key West Tropical Forest & Botanical Garden located at 5210 College Rd, Key West, FL 33040 on Stock Island. We are excited to be planning the best music summer camp experience ever for 2017! 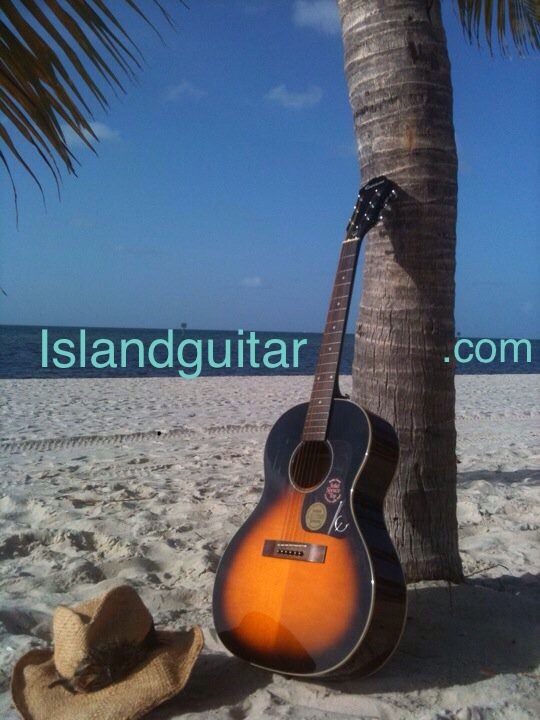 By popular demand, everyone will focus on the ukulele as the main camp instrument but we will explore electric and acoustic guitar, bass, keyboards, drums and steel pans. 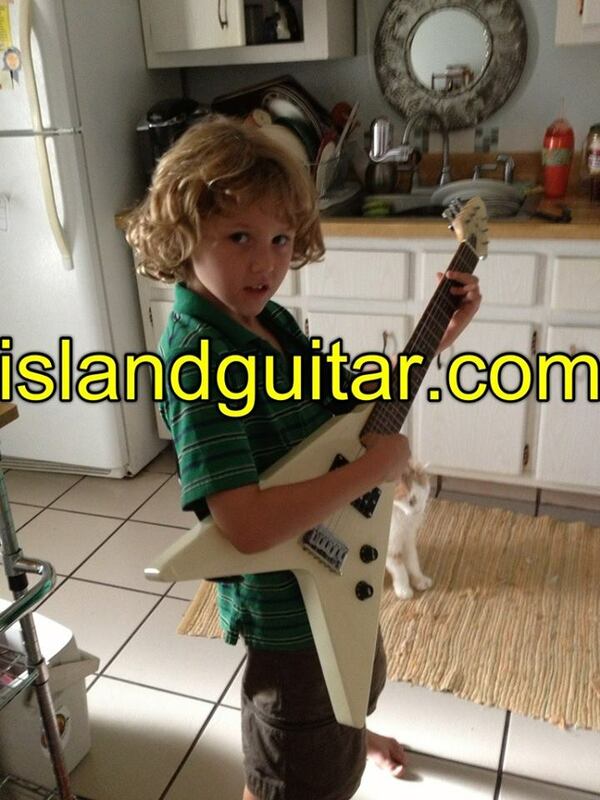 We encourage each child to try each instrument before spending all of their time with one. Our goal is to provide a professional musical environment through special tools, equipment, experience, knowledge and live examples, performances and guest speakers, where guided hands on experiences can be created along side and along with with peers in their age group, where that they can discover new likes and hidden talents while building a better more meaningful summer camp experience. Ages 4-9 Monday July 24th to Friday July 28th 8AM to NOON. 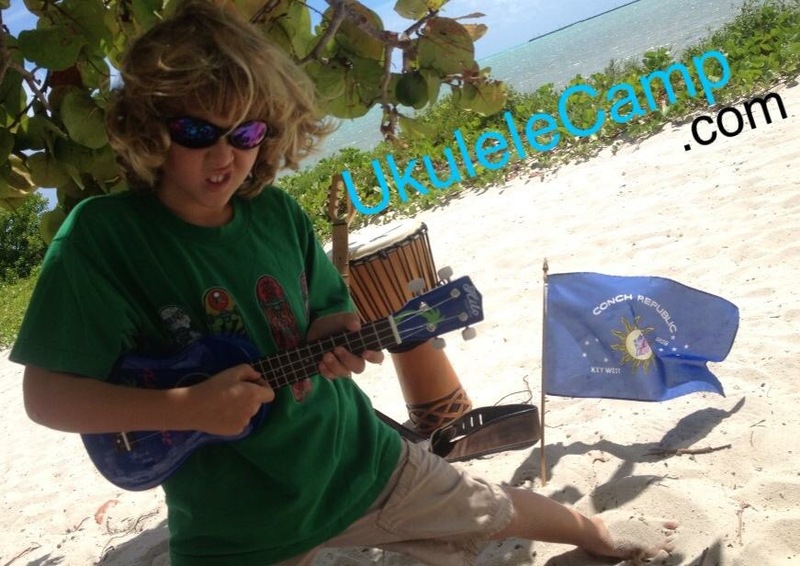 Is you pre-school aged child ready for ukulele camp? □ Can your child count to 20? □ Can your child recite the alphabet? □ Can your child use a pair of scissors? □ Does your child mostly color within the lines? □ Can your child sit still for 10 minutes at a time? □ Does your child pretend to play ukulele, guitar, drums or piano on objects like tables and sofa arms? □ Does your child respond to music by dancing or singing with it? □ MUST be able to use bathroom facilities unassisted. No exceptions.